Just because protein is known to contribute to the growth and development of muscle mass, it does not mean that other essential macro nutrients should be forgotten about. Nuts, seeds and fatty fish are essential for providing omega 3, which offers a range of benefits from joint care and weight loss to normal functioning of hormones. 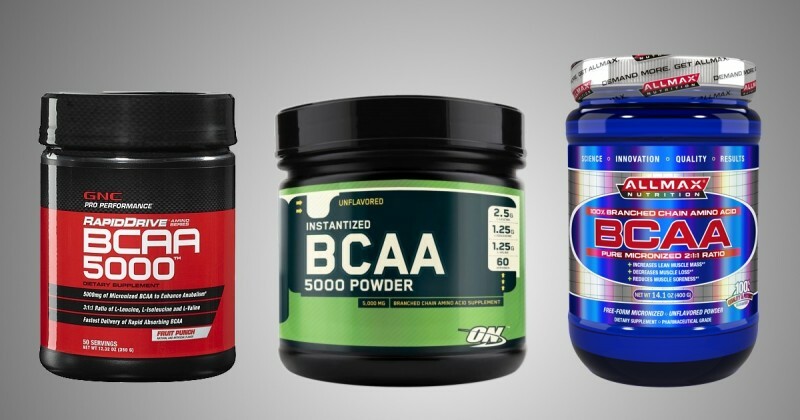 If you’re determined to maximise your muscle growth then your shopping list should contain sports supplements. Below is the information you need to discover the 7 best supplements for muscle gain that will give you the helping-hand you need to experience muscle gains like you’ve never seen before. Proteins are needed to build muscle mass the same way bricks are needed to build a house. Whey protein differs from your usual protein sources, whereby scientific studies have shown whey protein is the fastest absorbing protein available and the best protein source to help muscles recover, thereby supporting muscle gain. Whey protein is separated during the cheese-making process. Think about the cheese without its less interesting parts (lactose and fat). Besides having a low fat and carbohydrate content, whey protein contains high concentrations of essential amino acids, especially BCAAs (branched chain amino acids), which are known to play an essential role in muscle growth. Studies show that people who have whey protein before and/or right after workout are able to put on muscle mass faster than those who don’t supplement. So, next time you go to the gym remember to bring a whey protein shake with you. Proteins are made up from small chains of amino acids. BCAAs stands for branched-chain amino acids and they made up roughly 20% of muscle proteins. This number alone shows their importance for muscle growth. Creatine can either be obtained through food sources such as meat and fish or produced by the body. It’s stored in skeletal muscle as phosphocreatine to be used to generate ATP, the body’s source of energy. Much research has been conducted on creatine and it has repeatedly proven itself very helpful in boosting sports performance in a wide range of sports. Although creatine’s benefits can be felt in any kind of exercise, it’s more useful in short-term activities requiring great amounts of energy. Creatine supplementation is a must for gym goers. It will increase the number of repetitions you’ll be able to complete as well as the weight lifted, which in turn will allow for bigger muscle growth. Natural, effective and, the most important, completely safe. Due to its science-based formulation, ZMA has been proven to be an easy way to balance zinc and magnesium levels, thus helping gym goers and athletes in general to perform better in their workouts. Tribulus Terrestris is considered by many as the number one natural hormone booster. Tribulus Terrestris grows in some tropical and temperate regions of southern Europe and Asia and has long been a part of traditional Chinese and Indian medicine. Make sure you buy a tribulus terrestris supplement containing at least 40% of saponins which are the active ingredient in this plant. The higher the saponin content, the greater the benefits will be. Citrulline malate is, perhaps, one of the most underrated supplements available on the market. Although it doesn’t enjoy the popularity of supplements such as creatine or BCAAs, clinical trials have constantly proven it to be a powerful resource for athletes undergoing intensive preparation. At a glance, it seems to be a modest ingredient – a mere combination of a non-essential amino acid (citrulline) and a compound found in apples (malate). However, it can have a major impact on sports performance and even help you gain muscle. Citrulline is a precursor of nitric oxide. Nitric oxide increases vasodilation which favours oxygen delivery. An increased oxygen delivery means that your muscles will be able to exercise for longer. This is a very good thing from a muscle growth perspective. The more you train, the more your muscles will grow. Supplementation with citrulline malate can help increase muscle’s oxygen uptake, ATP synthesis and significantly reduce fatigue. These effects have been confirmed through several scientific studies conducted in athletes. Gainers are excellent supplements for hardgainers, who tend to struggle to gain weight due to having fast metabolisms. People with fast metabolisms burn calories at a higher rate, making it difficult to have spare calories to put on muscle mass. Gainers are designed to help people achieve the calorie surplus necessary to gain muscle mass and weight. They are composed of high biological value proteins, essential amino acids, simple and complex carbohydrates and vitamins and minerals. If you were blessed with a fast metabolism by genetics, mass gainers can help compensate for your natural high calorie expenditure and set you on the right path to muscle growth.